Berlin has neither the elegance of Paris nor the Mediterranean atmosphere of Barcelona. There are no sites of antiquity like in Rome or Athens. 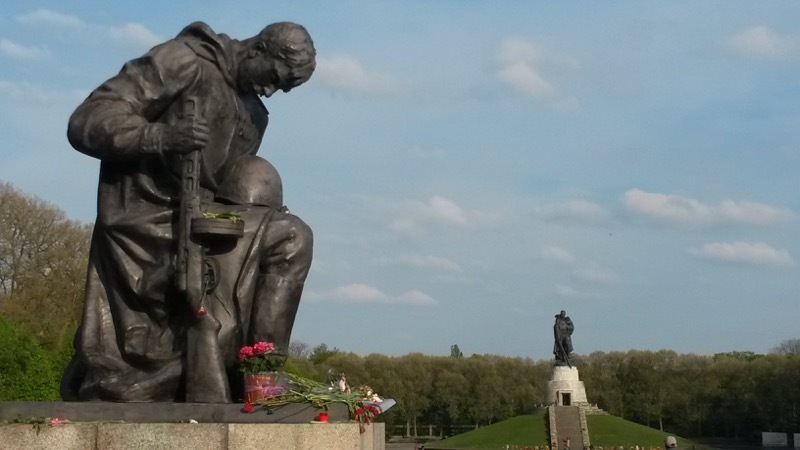 What is so special about Berlin? 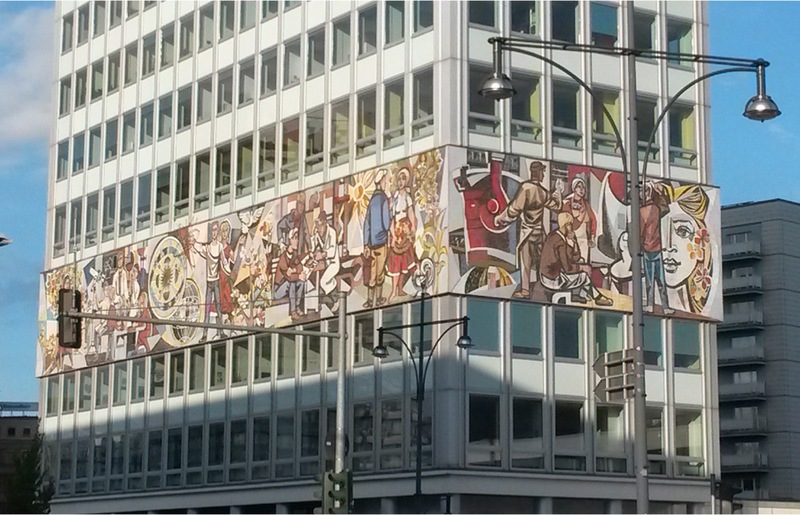 Berlin captivates through its diversity – for example the contrast of political systems in the 20th century, among them the Socialist era in the Eastern part of the city. I grew up in East Berlin and lived there until the age of 18. I had the “priviledge” of celebrating everyday Socialism in the political demonstrations of the day, conducted amongst prestigious buildings, some of which still stand today. Parades like the grand May-Day parade or the military parade on National Holiday lead down Karl-Marx-Allee (from 1949 to 1961: “Stalinallee”) flanked by the Palaces of the Working Class, their facades decorated with huge flags and banners. These events usually ended at Alexanderplatz, “ the showpiece of Socialism“ and the urban centre of East Berlin as well as a showcase model for East Germany. 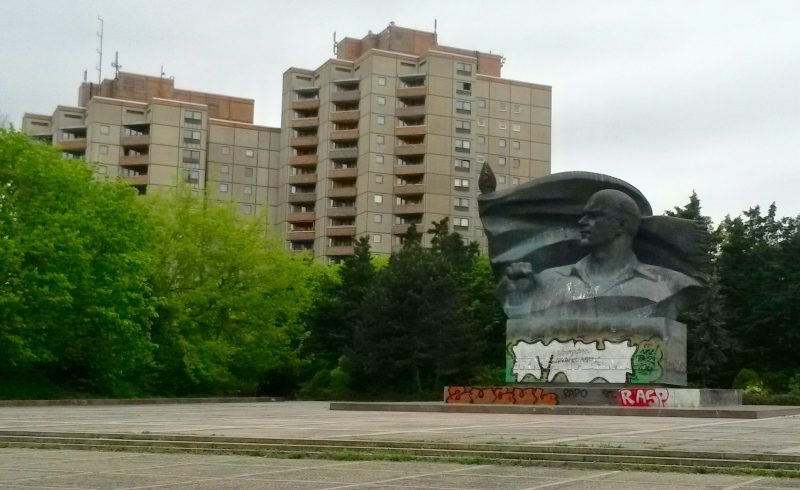 Political demonstrations, for which there were seemingly abundant occasions, were often held at the Soviet Memorial in Treptow, but also at the memorial for Ernst Thälmann in the borough of Prenzlauer Berg. This memorial itself, along with the surrounding residential area, erected in the typical pre-fabricated style, was a showcase for the 750th anniversary of Berlin. The event was celebrated separately in both halves of the city in 1987, two years before the fall of the Wall. Today the Staatsratsgebäude, former seat of the government of East Germany, is considered the most important testimony of the East German modernity. You will find it right in the historical center of Berlin. 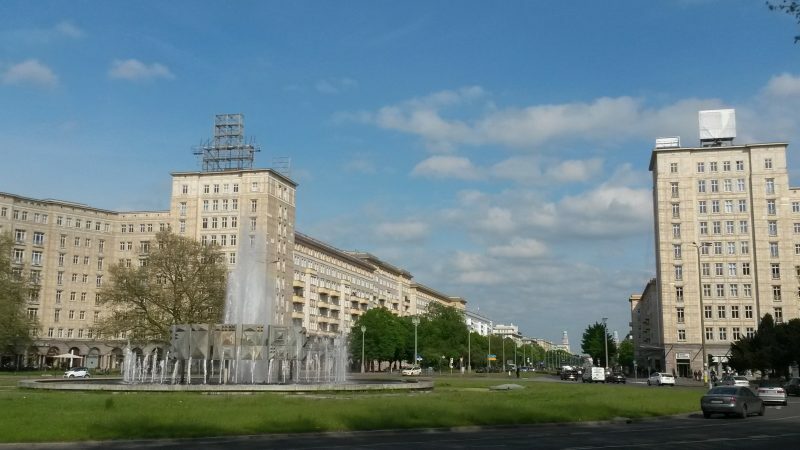 So, join your driverguide on a quest for the architectural traces and the artworks of Socialist Realism in East Berlin and discover more on the everyday life in former East Berlin.